Join us Wednesday in making a Difference. 100% of sales donated to over 170 local charities. See you there! Jersey Mike’s Subs’ eighth annual Month of Giving culminates with the Day of Giving, which is today (March 28). Jersey Mike’s Subs will cap off its annual “Month of Giving” with its usual “Day of Giving” on Wednesday (March 29). Today (March 30) is the culmination of Jersey Mike’s Subs Month of Giving: It’s the sandwich chain’s Day of Giving. A full 100% of sales will be donated to local charities across the nation. The Brick Market & Deli in Pomona — no stranger to hosting fundraisers — will have a multi-day fundraiser next week for Casa Colina Hospital and Centers for Healthcare. The fundraiser will take place from 10:30 a.m. to 7 p.m. Wednesday (March 23) through Friday (March 25). Simply present the flier, which can be found here, when you order and The Brick will donate 20% of your bill to Casa Colina. The Brick is at 105 E. Arrow Highway. If you’re heading to the Circle K NHRA Winternationals in Pomona later this week, you might want to make a stop at Philly’s Best Cheesesteaks before then. 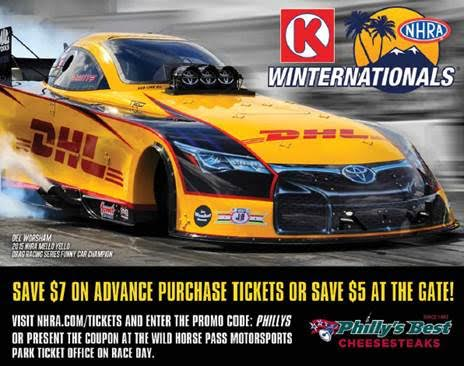 Not just to get a delicious sandwich, but because the chain has once again partnered with NHRA to offer vouchers for $7 off advance tickets to the Winternationals. 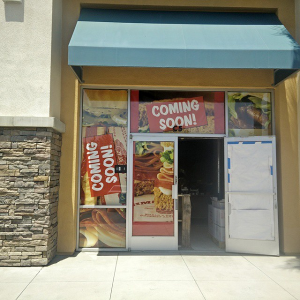 We’ve known about the San Bernardino Jimmy John’s since we spotted it in mid-May, and initially was told it was set to open in the first part of June. Well, it turns out that timeline was a little optimistic. The eatery, 1060 Harriman Place, Suite C5, is now set to open on Tuesday (July 21). The franchise owners have another location in the works.